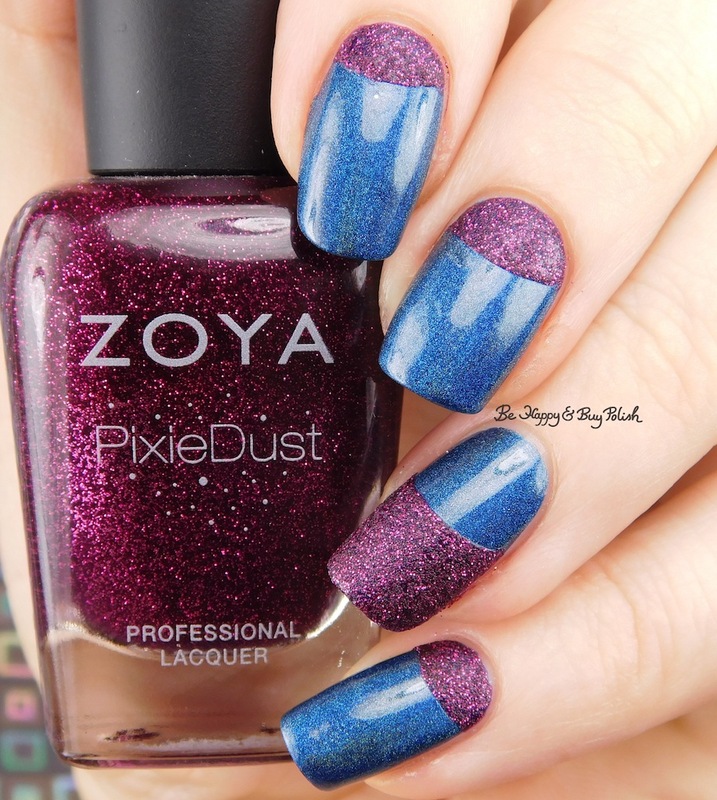 I added Zoya Pixie Dust Lorna in a half moon design on each nail. 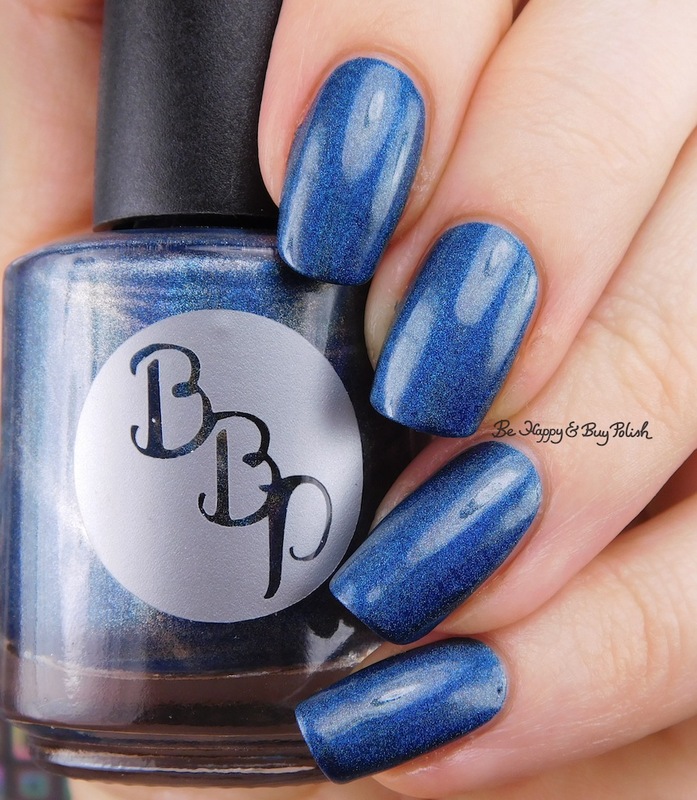 This is 1 coat of Lorna and no top coat over Blue Moon. My half moons really weren’t even but who cares? No one could tell anyway! Plus it was a flashy mani and I felt pretty amazing wearing it. What do you think? Your half moon design looks great. The two polishes go so well together too.